What a day. It was raining the night before and also in the morning. Have to make the move so at 8 am started walking. Then it got heavier. Highly unusual this time of the year and can expect more days like this. Immediately after the cathedral the arrows appears. Blue for Fatima and yellow for Santiago (both the same for now). 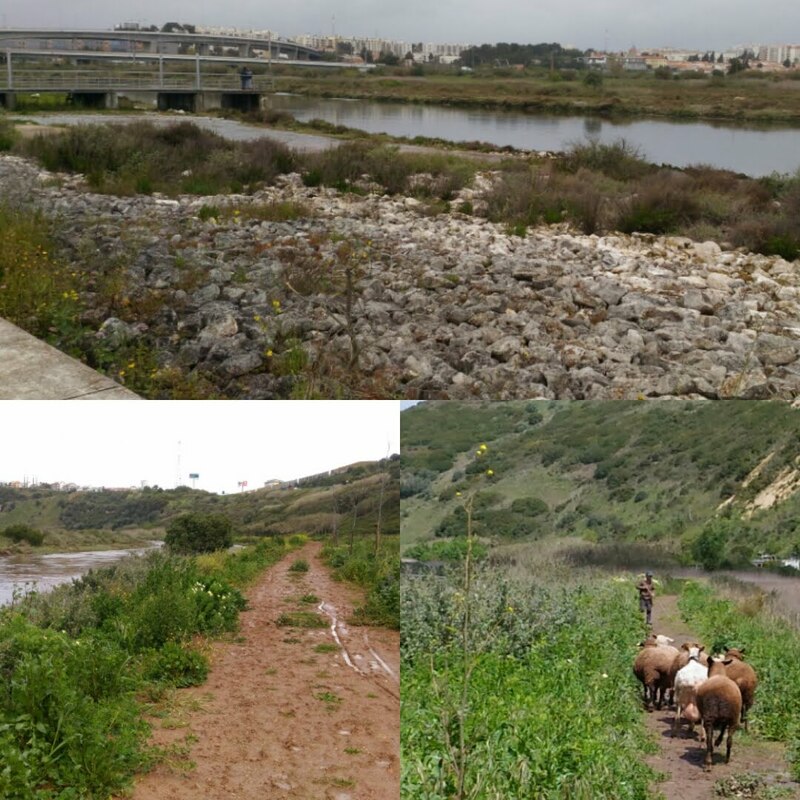 Once outside the city basically up the river Tejo but no view of the river till around midway. Then the worst happened. In the wetness that was creeping up the pants I decided to put the wallet and the phone in the front waist pouch. The poncho over it means I can't see the pouch. Unzipping and zipping to bring the phone out to check location and other stuff a few times most certainly during one those times the wallet slipped out without my knowing, my view blocked by the poncho. A sequence of unfortunate events maybe but mainly my stupidity. Have to stop and try to get the banks to cancelled the cards. Luckily most of my cash are not in the wallet, just some cash and my bank/credit cards in the wallet. But that also means no credit card and no means to withdraw more cash. Nothing else is missing. That said, I needed a cash infusion and being just 22 km on the first day I have my old friend Jose in Lisbon to thank for borrow the extra cash which he brought to Apriate later in the evening. Moving from the big river Tejo to the little Tejo junior and then to an even smaller stream is the dirt track, now muddy from the rain. Things can't get any worse no? After passing by some sheeps (so soon outside a major city) the outer sole of the shoe started peeling a bit, though more on one shoe. Patching it probably would last long, although not optimum I can still walk with the inner layer if I peel it the thin outer layer off from both shoes. Then maybe a shoe shop along the way to replace if necessary. When Jose came with the money he said he will drive me to a nearby Decathlon sports store for a new pair. A double lifesaver friend! 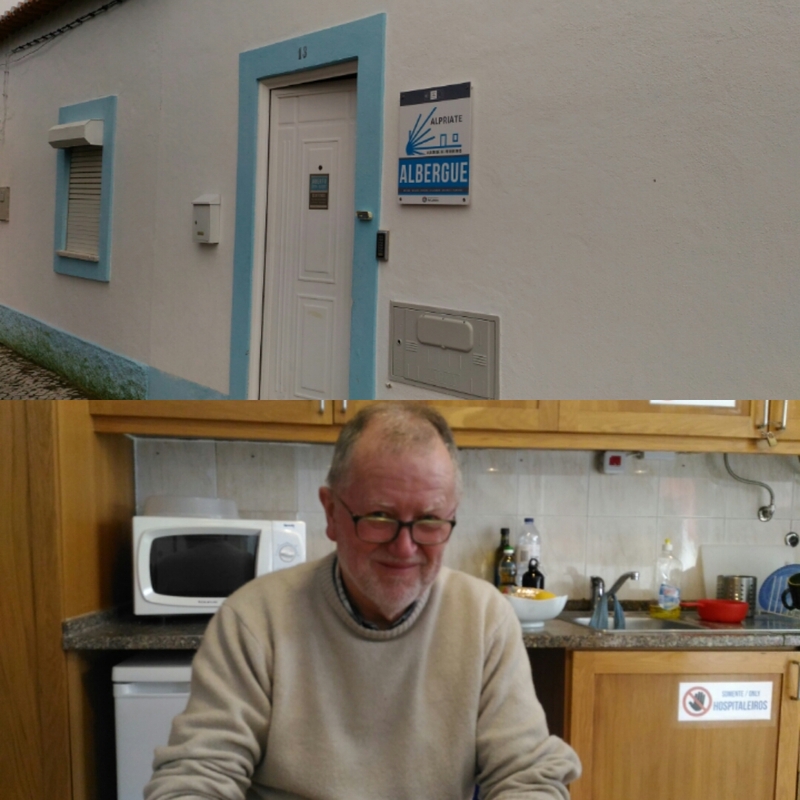 The albergue in Apriate just started last year and Charles (Ireland) is the hospitelero here for this two weeks. Six other walkers arrived by the evening. Now with this situation, cash (no card) I may have to rethink this camino. 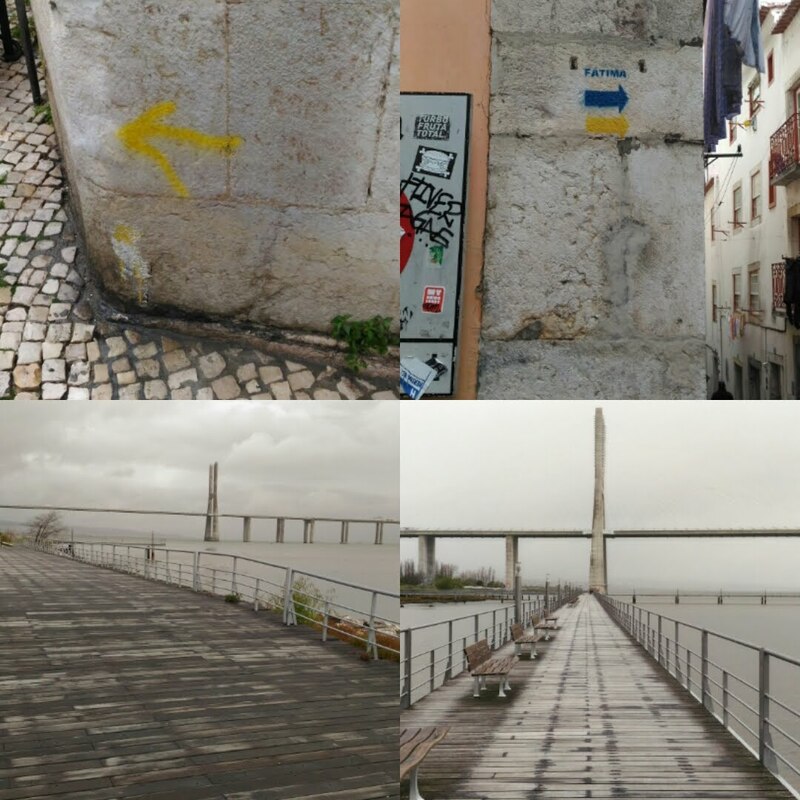 Either still walked all the way or cut short the walk and maybe after a couple more days of walking take a bus up to Porto to continue the walk from there to Santiago. The extra time before flying I may have other options. So the blog of this Camino may have some middle parts missing. We shall see.